Set in the Divinity: Original Sin 2 universe, Divinity: Fallen Heroes is a co-production between Larian Studios and Logic Artists, the studio behind the Expeditions games series and therefore will mix tactical gameplay with RPG choices and consequences. The game will launch this year on PC and other platoforms. • Gunpower comes to Divinity. Lock’n’load with an arsenal of guns and rifles. • Oil, Fire, Ice, Water and Poison surfaces are joined by the new Sulfurium surface, affecting hero positioning on the battlefield. 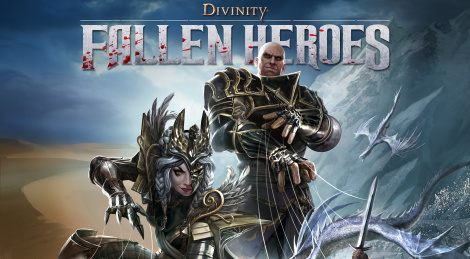 • Play with mysterious hero character Malady for the first time in a Divinity game, as well as an all-new character. Or take control of the famous Godwoken. • Select from 30+ different unit types to create the perfect squad, and equip them with over 200 skills. • Decide which technology to research and what artefacts to obtain to give your troops that extra oomph. • Simultaneous Co-op Gameplay allowing you to take turns and combine abilities at the same time. • Unlock devastating source powers for your flying battleship, The Lady Vengeance, that will turn the tide of battle. • Recruit unique veteran troops, but be careful: if you lose them in battle, they are gone for good. • Optional objectives and challenges will push your tactical acumen to its limits.